Our founder, Fakher El Kallassi was born in 1931 in Chahtoul, Ftouh Keserwan. He was the second of nine siblings. He started his journey into the world of trade when he was only 14 by buying eggs and dairy products from villagers so he could sell them to vacationists in other villages and in Beirut. In 1945, his father, Hatem El Kallassi, moved the entire family to Bourj Hammoud, Beirut. Fakher was already highly fascinated by trade by then. He gained vital experience in trade by visiting and carefully observing the work of a family friend who was a big trader. He proved to be extremely smart and a fast learner and this is what catapulted him from a regular employee to a respected employer in the food trade. Do what you are capable of doing, and be the best at it. The 1950s were a key turning point in Fakher El Kallassi’s life. He opened a 50 sqm store specialized in eggs, cheese and dairy products. Everyday Fakher used to leave the store to deliver goods on his bike. 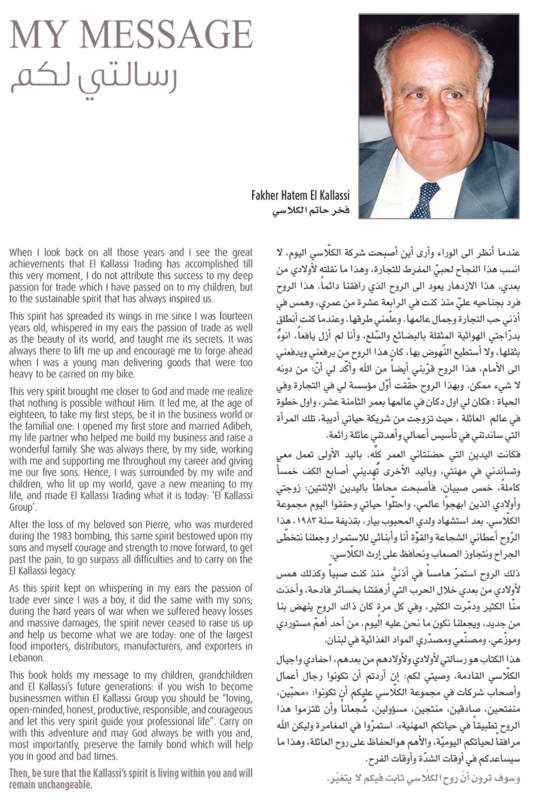 Only a decade later, Fakher expanded the store and acquired which allowed him to enlarge his trade to wholesale and retail. 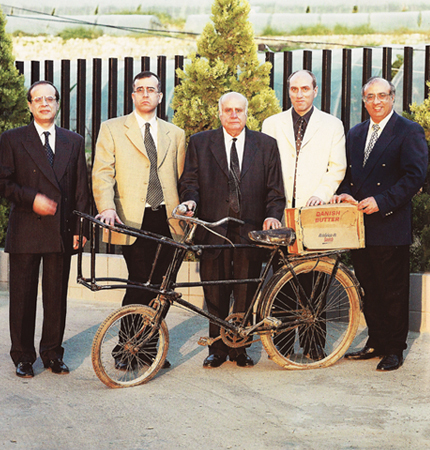 The 70's and 80's witnessed the pinnacle of success for the company when the sons of Fakher El Kallassi joined their father's business and started their trade activities by introducing new imported cheese and ham products. In the 1990s, his five sons, motivated by goodwill and ambition, established the company’s current headquarters in Awkar. This marked the era of El Kallassi Trading Corporation which was shaped by the second generation’s combined know-how. When the third generation stepped in to take the reigns, the evolution reached new heights with the firm meeting the standards and objectives of the world’s largest names. Today the company is part of GroupKa which has many companies in various sectors under its umbrella, including the marketing and sales of consumer goods, restaurants, the manufacturing of dairy products, distribution, logistics, export and several other trading businesses.